Tanzania has a strong record of democracy and stability – having never suffered a coup or civil war – and is heavily involved in peacekeeping operations on the continent. It recently contributed troops to the pioneering UN Force Intervention Brigade in the DRC. Due to its peacekeeping operations, Tanzania has received training and assistance from foreign nations – the United States, for instance, has provided training, boats, logistics vehicles, communications systems and other hardware. Tanzania also conducts exercises and training with foreign countries, particularly at sea. The Tanzania People’s Defence Force (TPDF) has recently expressed a desire to expand by growing troops numbers as well as acquiring more hardware, but affordability is a problem. Nevertheless, in late 2012 the Tanzania Ministry of Defence said the government will soon spend more on the procurement of defence equipment for the army and the air force as country strengthens its intelligence, surveillance and reconnaissance capabilities in the face of security threats such as maritime piracy and trans-national and home-grown terrorism. The government is also seeking better air and naval defence capabilities to defend newly-found offshore hydrocarbon resources and secure its territorial waters against economic crimes such as illegal fishing. Last year, Tanzania mobilised its defence forces and threatened to go to war with neighbouring Malawi in a feud over exploratory drilling works which were taking place in an oil-rich maritime territory in Lake Nyasa which borders the two countries. Apart from instability on Tanzania’s land and lake borders, maritime piracy is another issue for the country to deal with. As a result, Tanzania recently signed a joint maritime agreement with Mozambique and South Africa to patrol and protect the waters around the Mozambique Channel. External •	Tanzania is currently facing no external military threat. • Incidences of maritime piracy in the Indian Ocean have until recently negatively affected Tanzania’s maritime security and coastal economy. Internal •	Violence between the country’s Muslim and Christian population has increased steadily in the last 5 years. Regional •	Insecurity in Burundi, DRC, Mozambique, and Kenya may affect the country’s foreign security policies. Political	 •	There is continuing political tension between Dar es Salaam and the predominantly Islamic based island of Zanzibar. 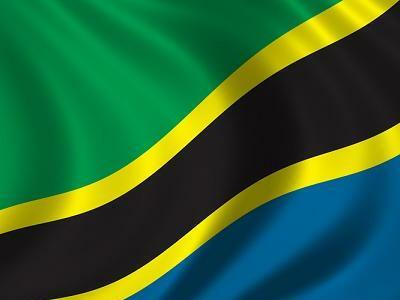 Economic	 •	Tanzania economy has been improving steadily in recent years with its economy growing at 4 percent annually. However the country remains highly indebted with 40 percent of government expenditure being used to pay off debts.